This year, the prestigious Caine Prize Workshop held in Uganda, in the resort town of Garuga, hugged by the expansive Lake Victoria. I missed the workshop in South Africa last year because some of that country’s officials had a bad weekend and decided that Nigerians shouldn’t be allowed in on the pretext of invalid yellow fever cards. Don’t ask me what Yellow Fever is: I heard the last reported case in Nigeria was some 18 years ago. Anyway, that was how I was turned back at Jo’burg’s Oliver Thambo Airport. The climax of some four days of frustration. The trauma of that disappoint lingered for months. Fellow writer Elnathan John wasn’t even given a visa. Fortunately, there were no such calamities this year. The Ugandans proved to be a lot more friendly and accommodating and so all invited writers, including three shortlisted writers for the 2012 Caine Prize, Kenyan Billy Kahora, Malawi’s Stanley Kenani and Zimbabwe’s Melissa Myambo alongside the winner and fellow country man, Rotimi Babatunde, made it. Elnathan John managed to get a visa this time and we were joined by the quartet of Hellen Nyana, Lillian Aujo, Davina Kawuma and Harriet Anena (dubbed The Ugandan girls). And there was the gentle Wazha Lopang from Botswana, who sadly lost his mother while the workshop was still ongoing, and another Malawian, Micheal Phoya. A dozen writers from across Africa. 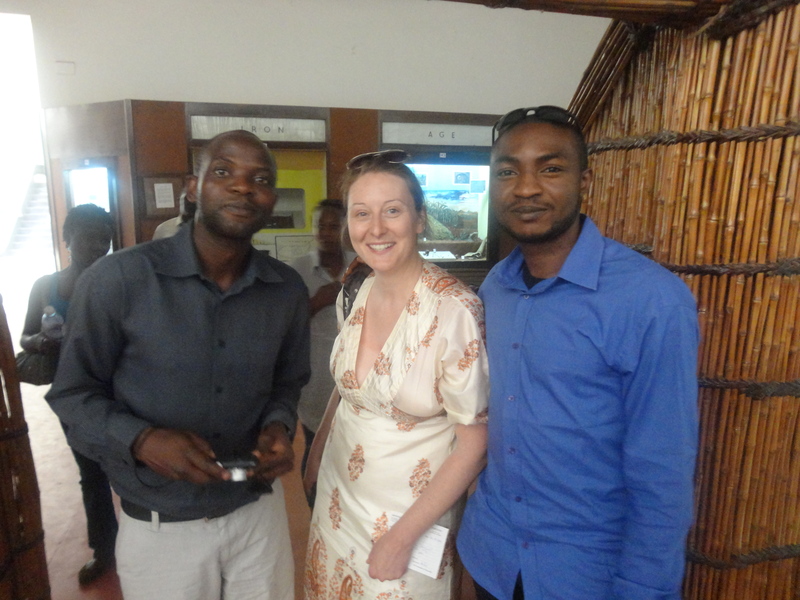 And there was Ivorian writer Veronique Tadjo and English woman Pam Nichols, both working with South African universities as the two facilitators. Caine Prize administrator Lizzy Attree was there to ensure the smooth running of the workshop and was conferred with the title ‘Dear Leader’ by the workshop participants. She is certainly nothing like that young Asian who bears the same title. Garuga Resort Beach Hotel is a secluded place nearly an hour’s drive from Kampala with cobbled paths and wide expanses of grass fields and is bordered by the magnificent Lake Victoria that laps the shores with restless energy, turning up bounties for the numerous birds that visit its beach. Of course there were butterflies. Large ones. Mostly monarchs and swallow tails. And my love affair with these fascinating creatures manifested as I spent almost an hour trying to capture their image in my camera. Not much success with that, anyway. There were lots of Geckos and storms of lake flies, irritating little insects that form low level clouds and get in one’s face. The spiders were many and very spirited. They immediately wove you into their webs if you stood or sat still for a minute. It was a perfectly inspiring place for writers to hole up. The Caine Prize workshop is unlike other workshops I have attended before. There are no lectures. You are just required to produce a story that will be featured in the Caine Prize Anthology. You may consult the facilitators, should you choose to, to discuss your work in progress and get feedbacks. The structure is very loose and quite liberating. I had given very little thought to the story I intended to work on at the retreat. In the days before arriving Garuga, I was preoccupied with clearing my table and finishing the novel I have been working on for over a year. I was on the home stretch and I knew if I didn’t get it off my chest, I simply couldn’t focus on anything else. So, arriving Garuga, the first thing I did was to put aside my luggage and sit down in my room to write the last part of the novel. Then I went out for dinner, to let my brain and body rest and bask in the euphoria of completing a first draft. It was wonderful meeting the other writers, sharing jokes and generally getting to know one another. I sure needed a lot more time getting my head out of the novel I had just written and face the challenge of writing a decent story for the Caine. I didn’t have that luxury. And so for the first two days, I wandered around with a vague idea of a story in my head, a vague character who had a name already, but with no clear idea what perspective to write the story from. That was when I realised that it was indeed possible to suffer a writer’s hangover, trying to clear your head from one story in order for another to sprout and thrive within hours. 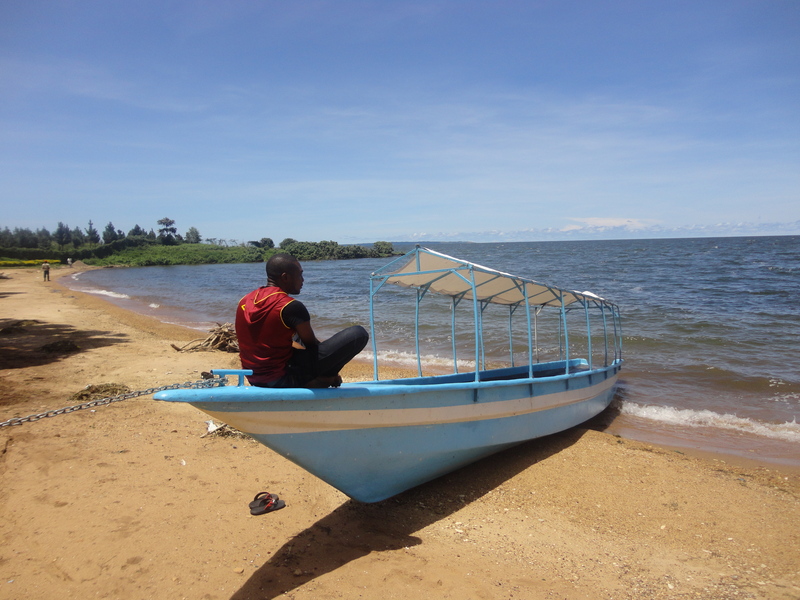 It was in these days of in-betweens that I fell in love with Lake Victoria as I sit on her shore and bask in her exultation as she bath the beach and pour forth her bounty for the waiting birds. And then the story started coming, disjointed at first. The beginning did not come until much later and having woken up on the morning of the second day still suffering that most unusual hangover, I was delighted when by evening I was feeling pretty pleased with the story unfolding in my head. By then, early starters had done their first rounds of readings, a dinner time ritual where a number of participants are expected to read parts of their works in progress. This works were discussed critically by the entire group. The stories touched on varied issues: politics, grief, deprivations, fundamentalism and of course love. There was even a story about a dog and one about birds doing some funny business. That was sadly put aside by the author. Essentially, the stories that unfolded were a depiction of slices of life on the continent and the promise African writing offers with these young writers. I favoured the poolside shed for my writing. It was an airy space with comfortable seatings and easy access to the lake, whose tides could be heard lapping the shores even from there. It was a good place to be in company of other writers. Not that there was much conversation going on here. It was always pleasing to have understanding faces to smile into when one is worn out and rises to walk the beach or stare into the blue, blue water of the pool. By the time I had my first reading at the dinner time gathering, I was quite pleased with the progress of my story. The bond between I and my characters had blossomed and the story flowed unhindered. Finally, there was a breather. A day out of Garuga and a visit to Kampala. We went as a group, with the exception of a couple of writers who felt the need to stay back and work more on their stories. We had some fun wandering at Kampala’s craft market, our first real contact with Uganda in the real sense. And incredible craft they did have. And we did visit the museum in Kampala and I was shocked to learn that some politician had attempted to close it down so he could appropriate the space for some private venture. Fortunately, some people mobilised to ensure that never happened. The Baha’i Temple was another lovely place with verdant grounds and a temple seemingly rising out of the greens and pointing into the clear blue skies of Kampala. It was built in the late 50s by Iranian missionaries of the Baha’i faith that believe in the teachings of all religions and open their doors to all comers. The tour ended at Kampala’s Garden City, a sprawling mall where he had lunch, a long and hearty chat and set off for the peace of Garuga and the cobwebs on our separate doors. But the Caine Prize was not only preoccupied with holing up writers in a beach resort. There was an open day when writers from the workshop visited a school in Kampala and read and talked with the young ones. And in the evening of that same day, the public presentation of the 2012 Caine Prize Anthology was held at Kampala’s Steakhouse. A lovely evening it was of interactions and readings by the shortlisted writers from their works that were featured in the book African Violet. The event was well attended with the British High commissioner to Uganda, Ms Alison Blackburne presenting the book to the public. Dinner at the steakhouse, much after the event was over was ruined for me by Bayern’s 4-nil mauling of FC Barcelona in the first leg of the UEFA Champions League. A very beautiful evening dampened by a shocking football match. But that is football. By then the workshop was coming full circle. Finished stories had to be pruned and cleaned up and turned in for the Caine Prize Anthology coming out this June. But the experience was awesome in the sense that you discover how much the Caine Prize is doing for African writing and writers, and future writers. The stories of a continent was told; some humorous, some sad, some very revealing. Friends were made, amidst much mocking of accents. Fortunately, someone managed to convince the Ugandan girls that ‘sure’ is not pronounced as ‘Shoowah’. And I left the shores of Lake Victoria, very sad for the parting and deeply distressed by the fate of the vanishing Lake Chad. Someday, I am going to write about that lake.